15 Apr – 15 May: 109 euros for adults and 89 euros for children aged 3 – 9 yrs. 16 May – 15 Sept: 119 euros for adults and 94 euros for children aged 3 – 9 yrs. 16 Sept – 18 Oct: 109 euros for adults and 89 euros for children aged 3 – 9 yrs. Maximum number of passengers on board is 18. Suggested stops on the Amalfi Coastline: Island of Li Galli, Nerano, Praiano (with free time for swimming and snorkeling) – Grotta dello Smeraldo (entrance ticket is not included – € 5.00 per person) – Port of Positano with a stop of about 2 hours to explore the pearl of the Amalfi Coast. 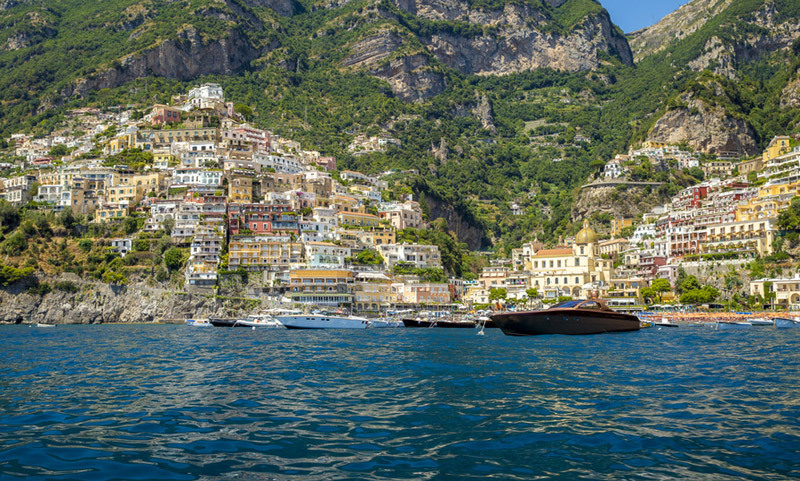 Amalfi-stop for about 2 hours to visit the ancient Maritime Republic. Departure from Amalfi to Piano di Sorrento. Happy hour – tasting limoncello – Return to the port of piano di Sorrento and transfer to hotel. Mon, Wed, Thurs, Fri, Sat.